Press Ombudsman Johan Retief found on Tuesday that reporting by the The Sunday Times on the SARS “rogue unit” had been “inaccurate and unfair”, is in breach of several sections of the Press Code and that the paper should apologise unconditionally to Finance Minister Pravin Gordhan. Gordhan has come out guns blazing since his reinstatement as Finance Minister after President Zuma scored an own goal firing Gordhan's successor, Nhlanhla Nene. Gordhan's surprise visit to SARS this week also sent a strong signal that we can expect more drama and fallout in coming weeks and months. By MARIANNE THAMM. If South Africa were the Titanic sailing towards an iceberg last week, on this Day of Reconciliation Finance Minister Pravin Gordhan is the equivalent of Captain Edward J Smith, only at this point in our local version of the catastrophe with his hand steadily on the tiller turning the damaged good ship South Africa around. And the fallout has already begun. Within hours of reclaiming the Ministry of Finance, Gordhan scored a hat-trick, reassuring the markets, making a surprise visit to SARS in Cape Town asserting his authority and now scoring a victory against the Sunday Times in relation to articles the paper published with regard to reports on his alleged knowledge and involvement of a “rogue unit” in SARS. Gordhan, through his lawyer Tebogo Malatji, complained in November to the Press Ombudsman about a front page story published in The Sunday Times on 4 October titled Call to probe Pravin Gordhan over SARS spy saga – KMPG report confirms our story on ex-finance minister, as well as an editorial in the paper Keep shady doings in SARS out in the open. “This text should include references to all the allegations made in the texts which are in dispute,” Retief ruled. The Sunday Times should also, “for the sake of context”, add comments from Gordhan’s submission that none of the panels of inquiry (including Judge Kroon and KPMG) approached him to provide any information or perspectives; and categorically denies any suggestion or insinuation that he knew of or permitted any illegal activity regarding this matter.” The paper should also make its apology available on the website of the Press Council as well as its own, it was ruled. The article Gordhan complained of was written by members of the Sunday Times investigative team, Piet Rampedi, Mzilikazi wa Afrika and Stephan Hofstatter and called for a probe into whether Gordhan knew that a rogue unit at SARS had been spying on taxpayers. The paper had said that this had been a recommendation in a KPMG report submitted to SARS commissioner Tom Moyane in which it was alleged that SARS had spent more than R106 million running the covert unit and that it had “lied about its existence in public”. “The story called this a confirmation of news reports that the unit had been ‘engaged in unlawful interception of communication’,” wrote Retief. The Sunday Times report also claimed that the KPMG report had recommended that SARS “engage” with the Office of the Public Protector and “apologise for misleading it”. In an editorial The Sunday Times had stated that its reporting had been corroborated by three independent sources – the Sikhakhane Report, the Kroon Report and the KPMG report – and that these had all been unequivocal in their findings. Malatji added that the paper’s reporting that Gordhan had never publicly denied any knowledge of the unit’s unlawful activities had been “couched in terms which implied that he had been dishonest”. Susan Smuts, legal editor of the Sunday Times, denied the paper’s stories suggested that the newspaper had tried to create the impression that Gordhan had been the focus of the report. Retief’s central consideration then was whether “a reasonable reader have been left with the impression that Gordhan was dishonest?”. But, he added, “a much more fundamental issue was at stake. Retief said the panel noted that the Sunday Times articles consistently referred to the KPMG document as a “report”, and not as a “draft report”. The Ombudsman had asked KPMG whether the report had been released or not and had been told that there were, in fact, six draft reports and that the copy that had been leaked to Sunday Times was among the earlier versions. The final report has not yet been released. “This means that not only was the content of the stories inaccurate, misleading and unfair, but the conclusions in both the editorial and the sub-headline of the main story (namely that the newspaper’s reportage prior to the “release” of the “report” had been validated) cannot be correct – or were, at best, premature. The only conclusion that the panel can come to is that the newspaper’s reportage has unnecessarily tarnished Gordhan’s dignity and reputation” said Retief. This had left two options with regard to journalist Piet Rampedi, who told the hearing that he had seen the report. “Either he was misled by his source, or he deliberately misled the public, his newspaper, as well as this office,” said Retief. With regard to the newspaper’s editorial on Gordhan, Malatji had argued that the thrust of the editorial had been that the KPMG report should be made public and that while this was contained in an editorial that was essentially “comment” it had been made as “a statement of fact” . This, he added, had been an attempt at “self-vindication” rather than “a demonstration of honest expression of opinion, or honest and balanced reporting of facts”. Retief ultimately found that The Sunday Times’ front page headline feature had breached Section 4.7 of the Press Code and that the editorial breached Section 4.7.2 which states that the media “shall exercise care and consideration in matters involving dignity and reputation. The dignity or reputation of an individual should be overridden only by a legitimate public interest and [if] the article amounts to fair comment based on facts that are adequately referred to and that are true or substantially true”. Retief said that the Sunday Times breaches had been a “Tier 2 Offence” in the Hierarchy of Sanctions in Section Eight of the Ombud’s office Complaints and Procedures and which distinguishes between minor breaches (Tier 1), serious breaches (Tier 2) and serious misconduct (Tier 3). Sunday Times has seven days to appeal the Ombud’s findings. 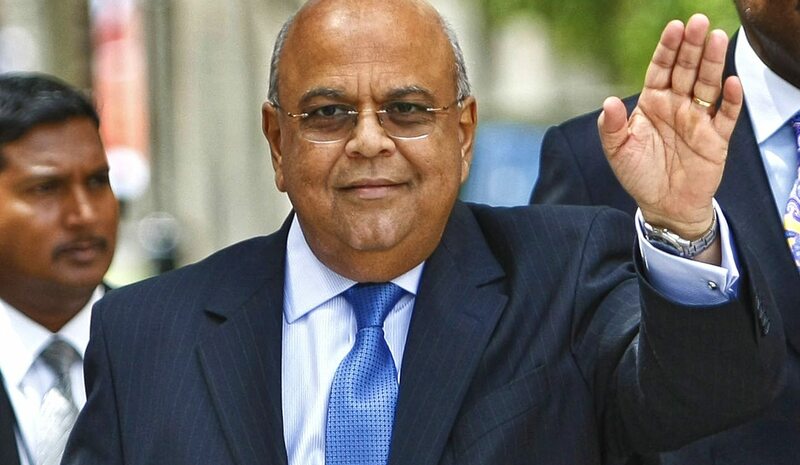 Photo: A photo dated 17 February 2010 and made available 14 December 2015 of then South African Finance Minister Pravin Gordhan waving as he walks to deliver the 2010 budget speech in parliament, Cape Town, South Africa. EPA/NIC BOTHMA.